Powered by Srixon. 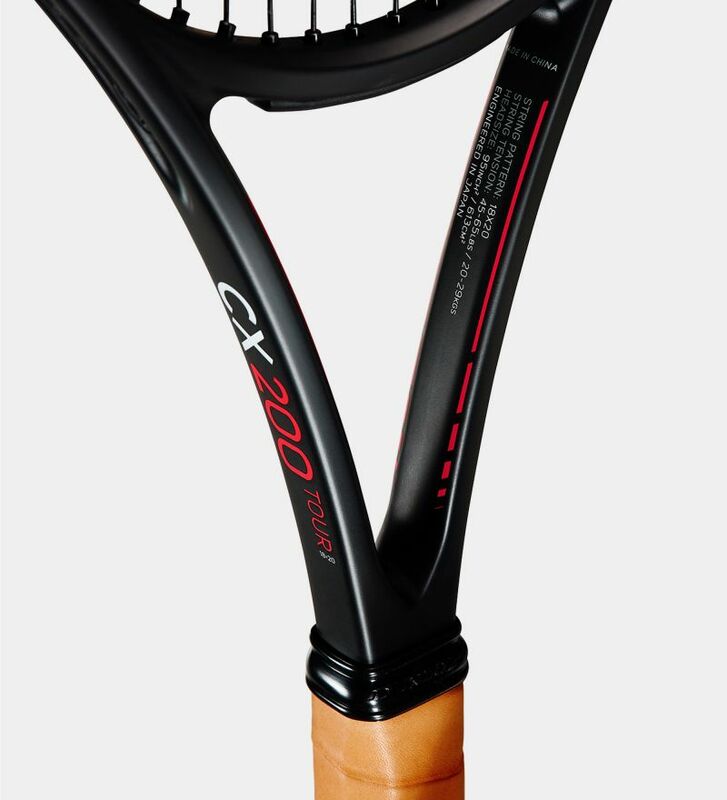 The new CX Series features an exciting new technology – Sonic Core made with Infinergy®, by BASF – a super elastic material, with the benefit of being very light, the perfect match to meet the demands of the modern day player. Play Harder. 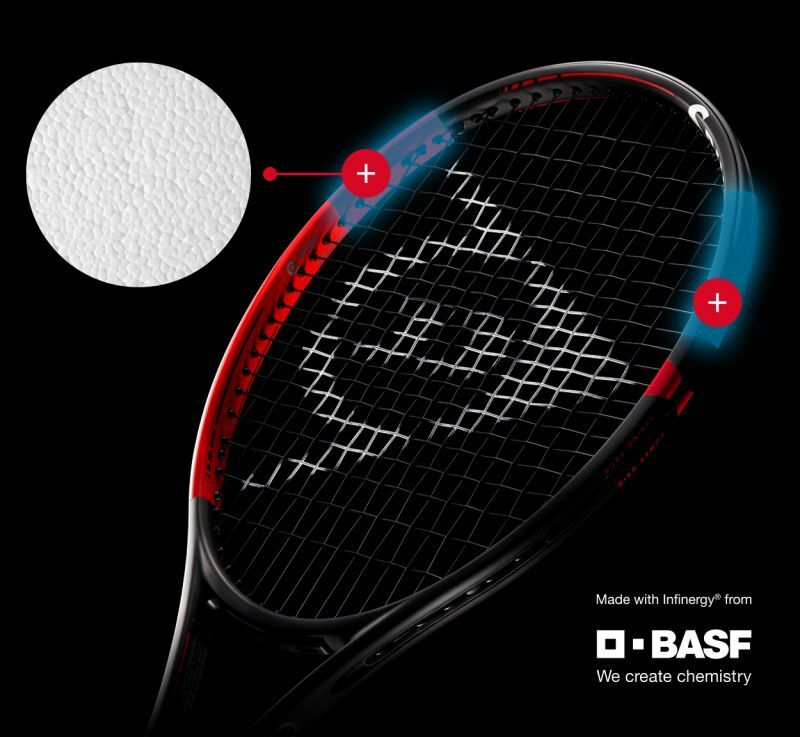 Infinergy® foam developed by BASF, the world’s first E-TPU, has significantly higher rebound properties to other materials such as EPP, EVA and EPE. Material rebound tests show a 46% increase in rebound height vs original Sonic Core material. 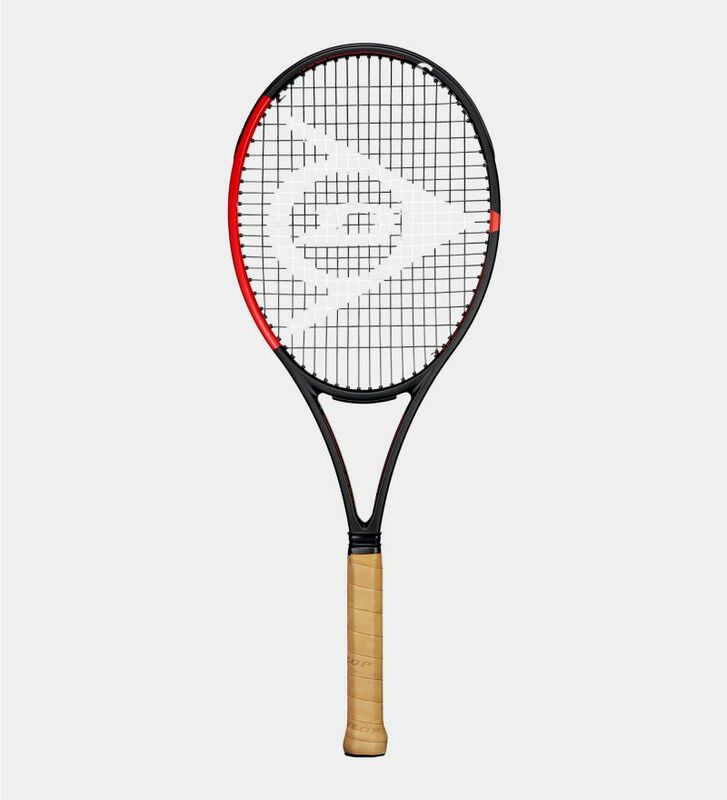 When Infinergy® foam is combined with the CX frame the result is a faster ball speed off the racket for more aggressive shot-making. 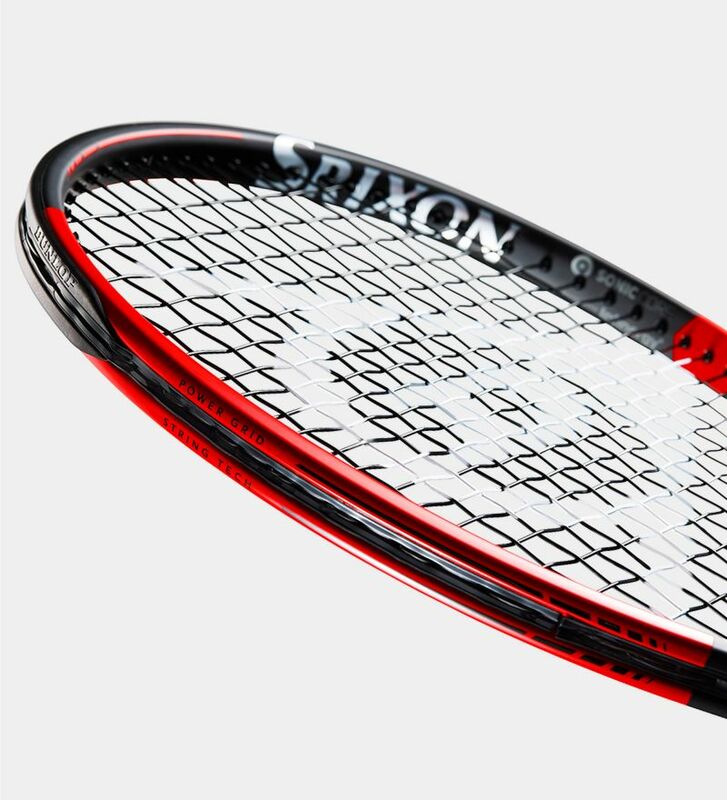 Play with maximum comfort. 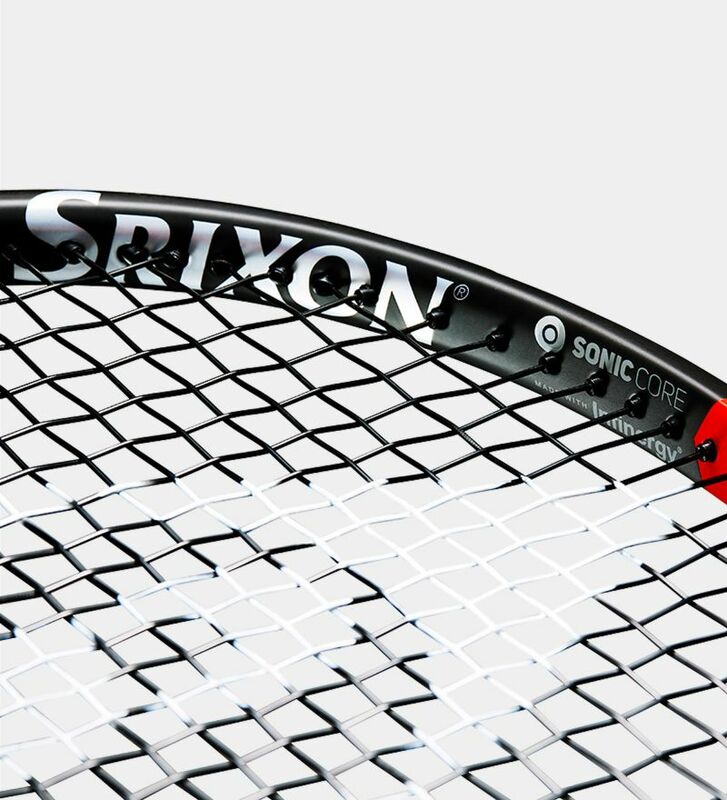 Sonic Core made with Infinergy® is located in the 2 and 10 o’clock areas of the racket, dampening impact shock and reducing frame vibrations by up to 37%, resulting a more comfortable hitting sensation and a reduced chance of injury. 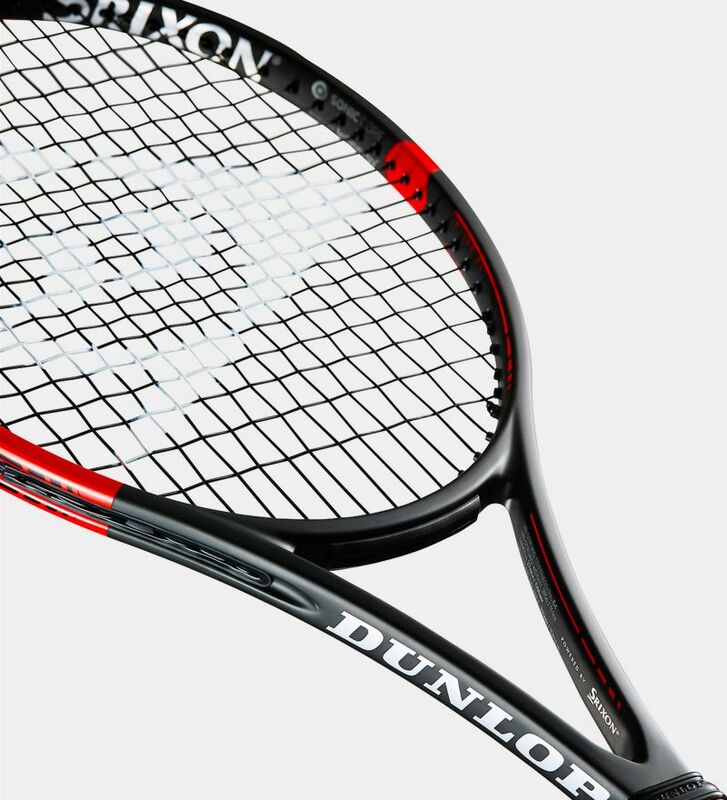 Better control, more power and more spin. 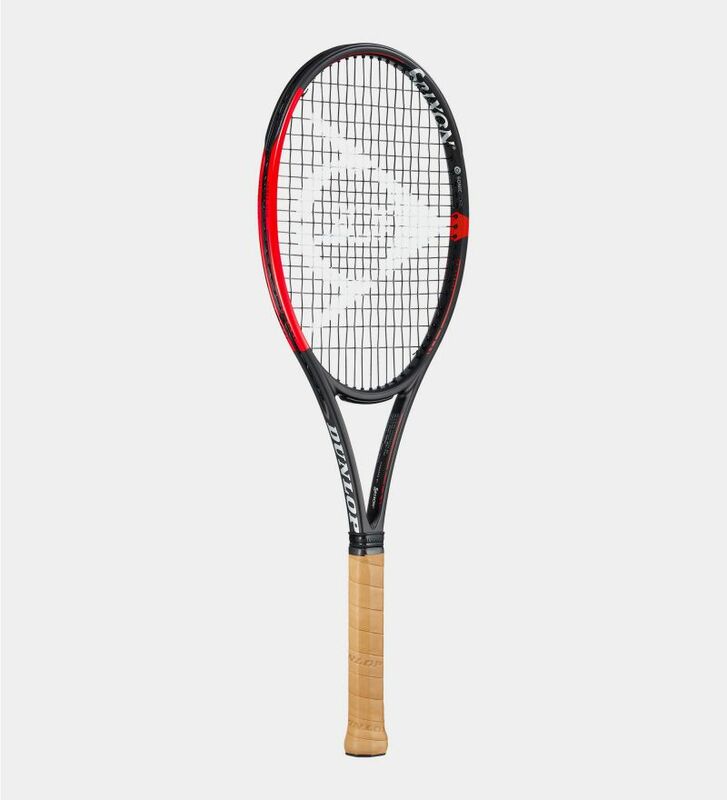 Power Grid String Tech creates a 30% larger sweet spot, evenly distributing power across the string bed, allowing modern day players to hit the ball towards the top of the racket.